DIAMOND Bank Plc on Monday released her 2016 performance scorecard on the floor of the Nigerian Stock Exchange, NSE, showing stable growth in key financial parameters, though profit after tax, PAT, dropped. In the audited results as approved by the Central Bank of Nigeria, CBN, the bank posted 53 per cent growth year-on-year in total comprehensive income to N12.1 billion with non-interest income increasing by 6.9 per cent to N53.9 billion, ostensibly stimulated by transactional fees. Although the ripple effect of the tough operating business environment impacted negatively on the performance of many organisations in the country including Diamond Bank, but the results of the bank showed its ability to maintain appreciable growth as revenue from non-interest income, especially its mobile banking increased to N2.6 billion from N0.41 billion in 2015. 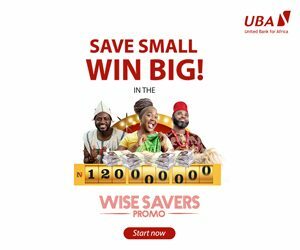 Speaking on the results, the chief executive officer, Uzoma Dozie, said that the bank’s stable growth and continued success in spite of the harsh economic headwinds, is hinged on implementing retail and digital-led strategies that are primed to promote sustainable growth and profitability in the long term. 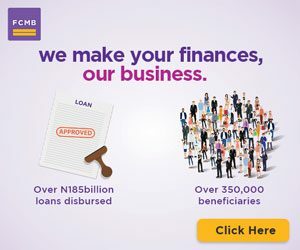 A review of the financial results for the period indicates that although its PAT of N3.5 billion was lower than the 2015 position of N5.7 billion, the bank’s capital adequacy ratio remained stable at 15 per cent, within the Central Bank of Nigeria’s required minimum, signposting the bank’s preparedness for profitable business expansion. Dozie stated: “the restructuring of Diamond Bank’s operating model was a key development completed in the year. Following its successful implementation, the emerging model has improved customer engagement, strengthened Diamond Bank’s value chain approach to business and delivered efficiencies across the Bank. These measures have helped to improve Diamond Bank’s low-cost deposit base from the retail segment, whilst also facilitating growth in non-interest income and a reduction in interest expenses. Importantly, however, our regulatory capital remains strong. Liquidity of the Bank also remains high and is well above the guidance ratio stipulated by CBN. The post Diamond Bank maintains stable growth in 2016 appeared first on Vanguard News.